– Compatible with HS Dryland Flooring Tiles Allstar ★ Edition. – Edging pieces measure 4” x 18.5”. – Attaches very easily to tiles with patent pending clipping system. – Beveled smooth slope allows for easy puck loading. 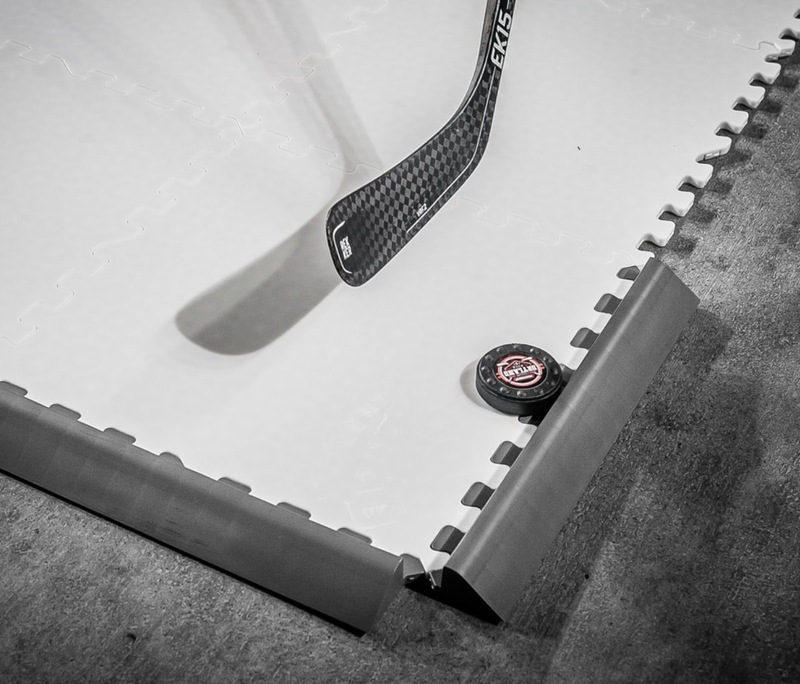 – Multipurpose raised edge keeps puck on surface with more training options to boot. – Absolutely any type of puck or stickhandling ball can be used with Puck Stopper Edging! The uniqueness of this product will stop the pucks/balls from going over the edge, leading to never having to stop practicing your game. 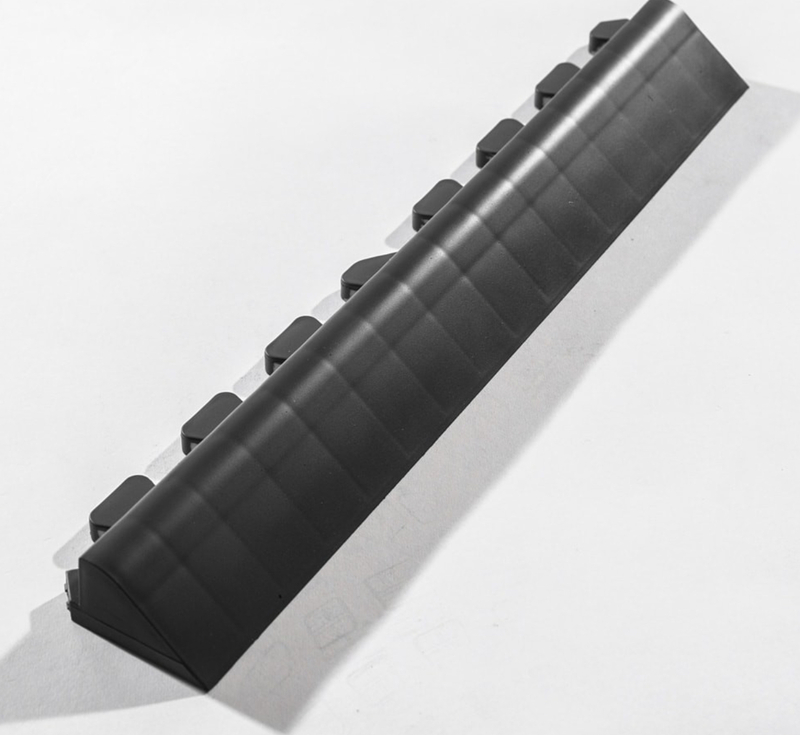 – Yes, The Puck Stopper Edging doubles as a slideboard, allowing it to be used as a wall to push-off for skate stride drills.